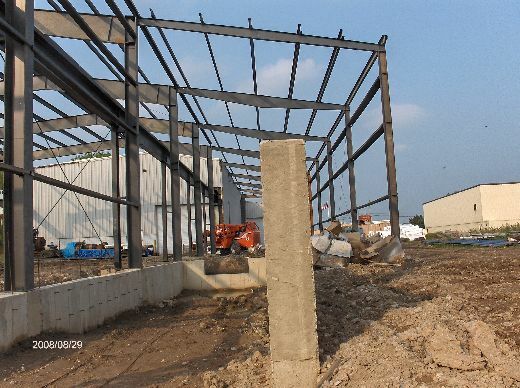 We saw the pictures of the frame of the premanufactured building going up from my field visit of Aug-26-2008 in Industrial-Building-Addition_Erection-Of-Premanufactured-Building-Frames-Part2-ColB1-103. I was at the job site today on Aug-29-2008. The erection of the frames is progressing well. 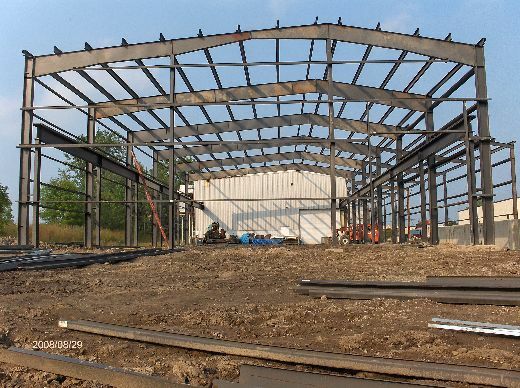 Most purlins seems to be up. Most of the girts have been installed. The cross bracing for the frames is in place. 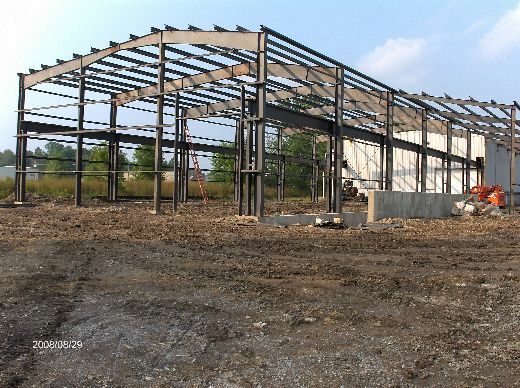 Today I have posted some more pictures of the framers, the roof legs , the crane legs, purlins, girts, and cross bracing installed as of Aug-29-2008. I will keep you posted with progress pictures as we go along.